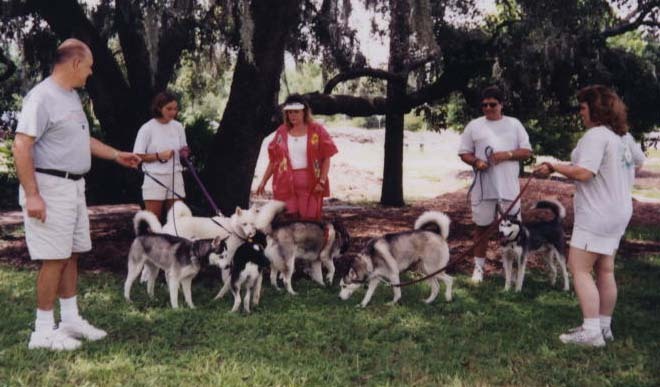 We are not saying that Siberians can't live happily as "only children", there are plenty out there that love to be the one and only spoiled Siberian! 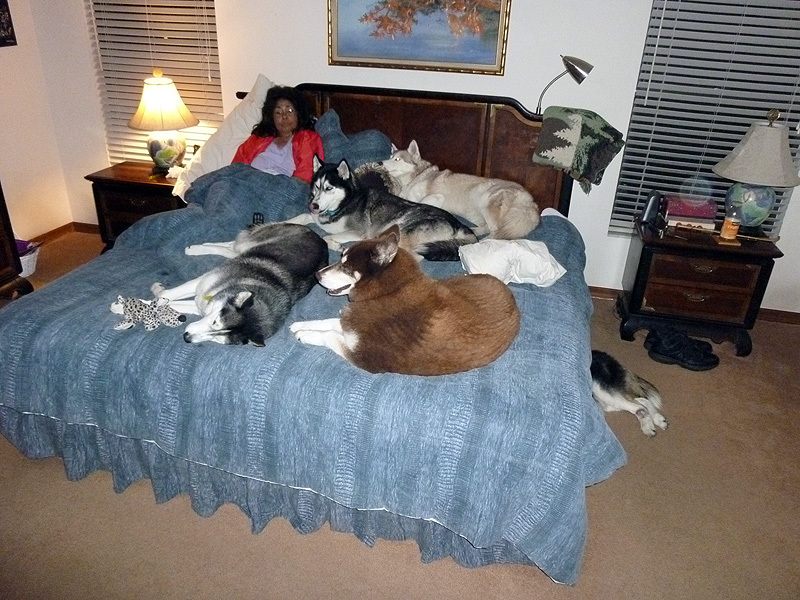 Nor are we saying that Siberians can only live happy lives in homes where someone is home 24/7. In this day and age we WISH we could do that! If you are a willing Siberian owner there is ALWAYS a way. While you are out working you can easily curb a bored Siberian by using a strong crate. Now some people think a crate is a dog prison or doggie jail. This is not the case. When used properly a crate can be a safe place or den for the Siberian. Siberians are denning animals by nature and look for the close and confined security that a crate can give them. It also can protect them from chewing on wires and other unsafe items and hurting themselves. Have you ever noticed how your Sibe sleeps under your computer desk or coffee table or under the bed? Now what does that remind you of? Still can't guess? Try picturing a gate on it? Give up? A crate! Keno is trying to figure out how much trouble he will get into if he shreds the books in the bookcase, Hmmmm.... better not chance it! This bed has been declared a "girls only" zone! Sorry Dad, but hey if you stack all our beds together I am sure you will be comfy! 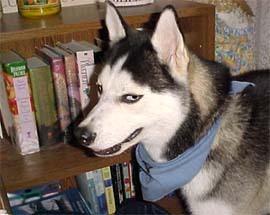 It's a herd of huskies .... down on the farm..Mooo..err I mean Woooooo! This was once a wall, until a Sibe got bored. 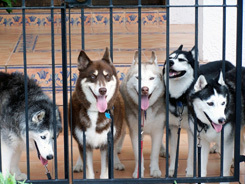 Nikita, Chloe, Sasha, MacKenzie and Zoe think Dad took the crate look a little too far. 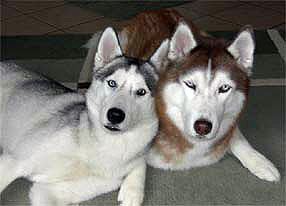 Timber and Dakota pose for a picture... hoping Mom and Dad won't notice the mayhem behind them. 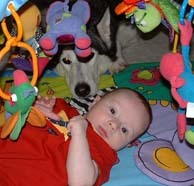 Kodi enjoys playtime with his baby brother! 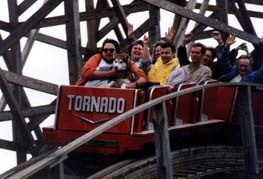 This Sibe loves to ride the coasters with his human companion!